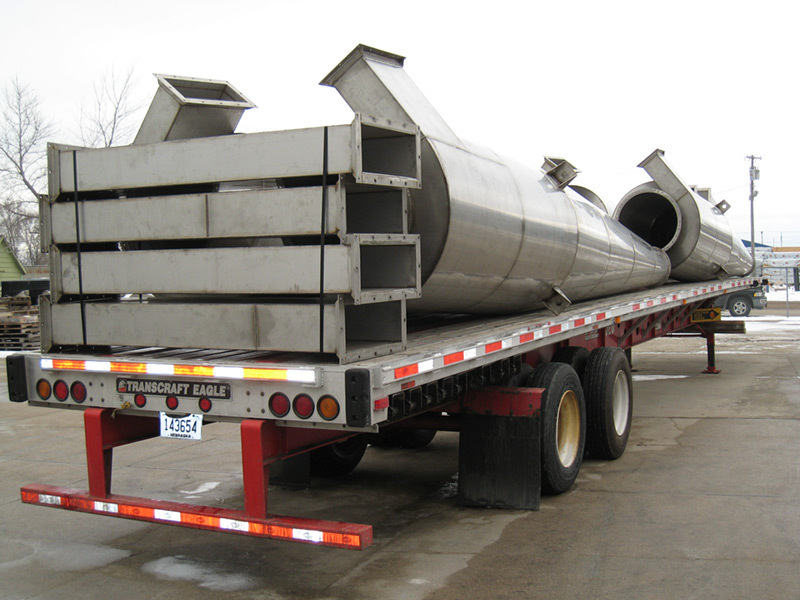 EleMETAL Fabrication + Machine can custom manufacture a variety of industrial tankds, dust collectors, cyclones, ducto work and many other industrial products. 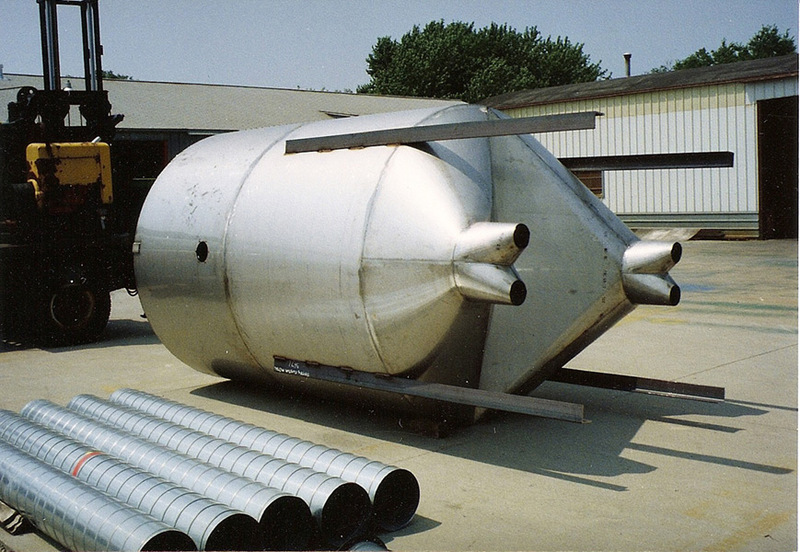 We can manufacture non-pressurized tanks, dust collectors and cyclones up to 10’ in diameter per customer design and specifications. 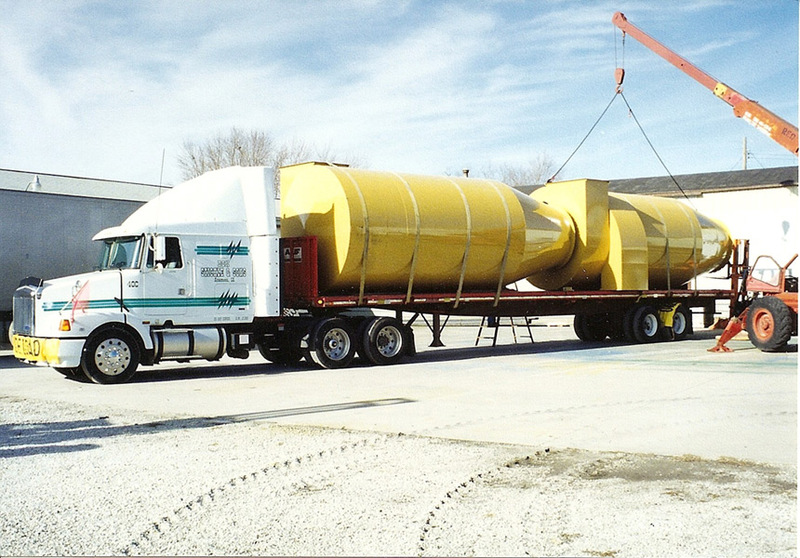 We have the equipment and experience to build some of the longest-lasting dust collector and cylclone machines in the industry. 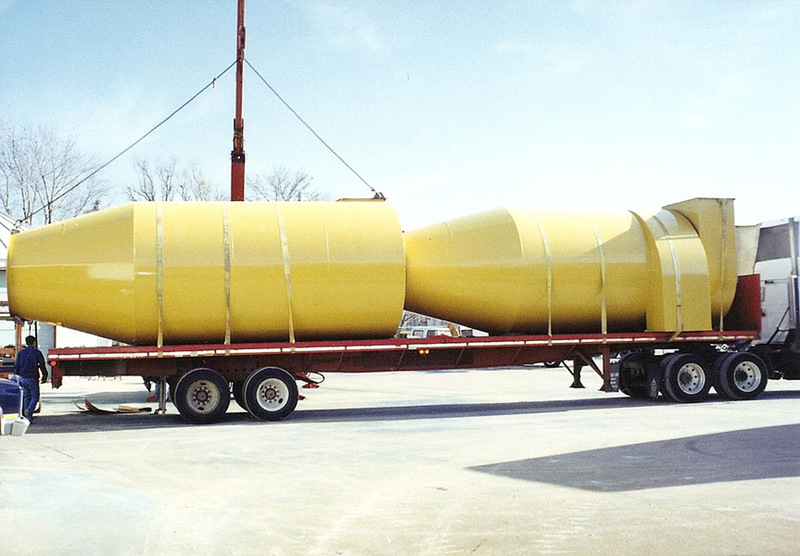 Plus, we work with multiple industrial painting contractors to provide equipment with a professional durable painted finish according to specs. 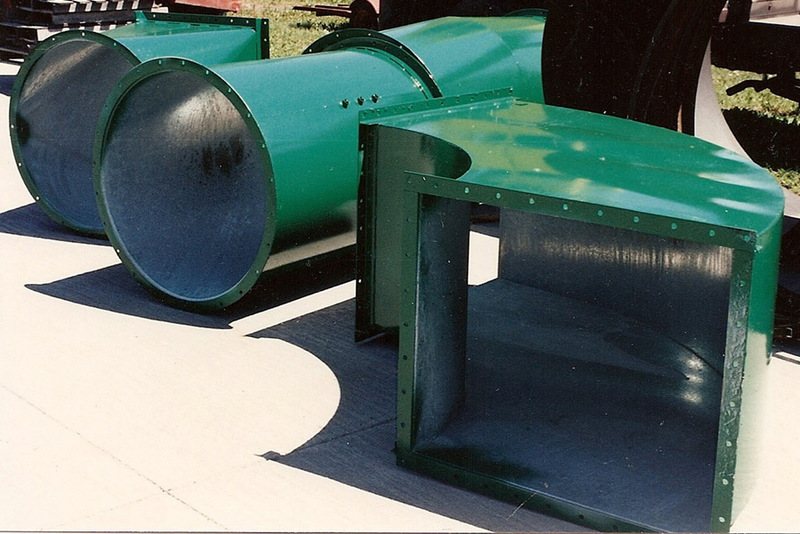 Two dust collector cyclones with right hand and left hand inlets respectively. 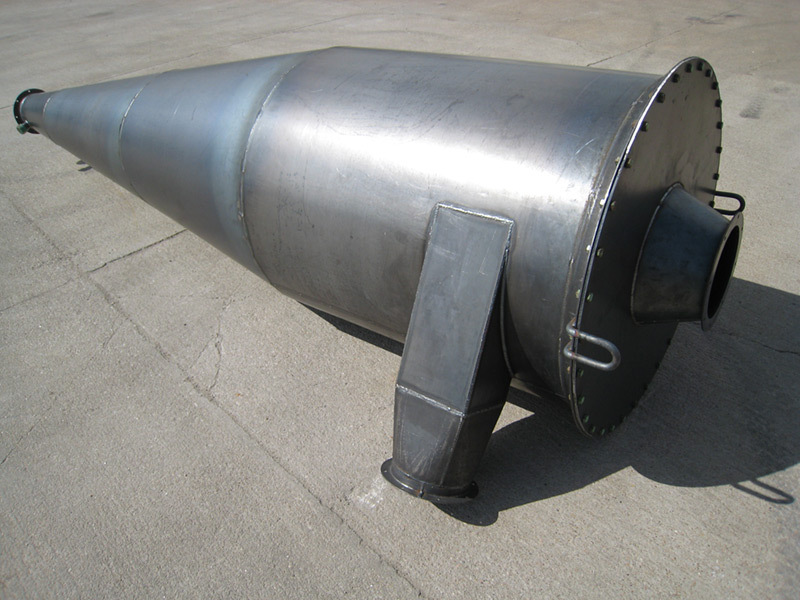 Steel dust collector cone complete and ready for shipment. 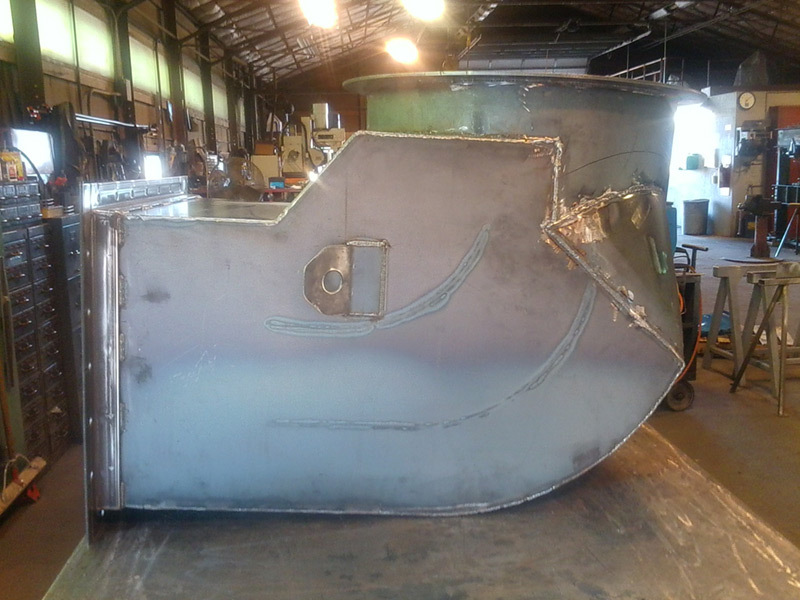 Custom Square to Round Elbow used for fan inlet. 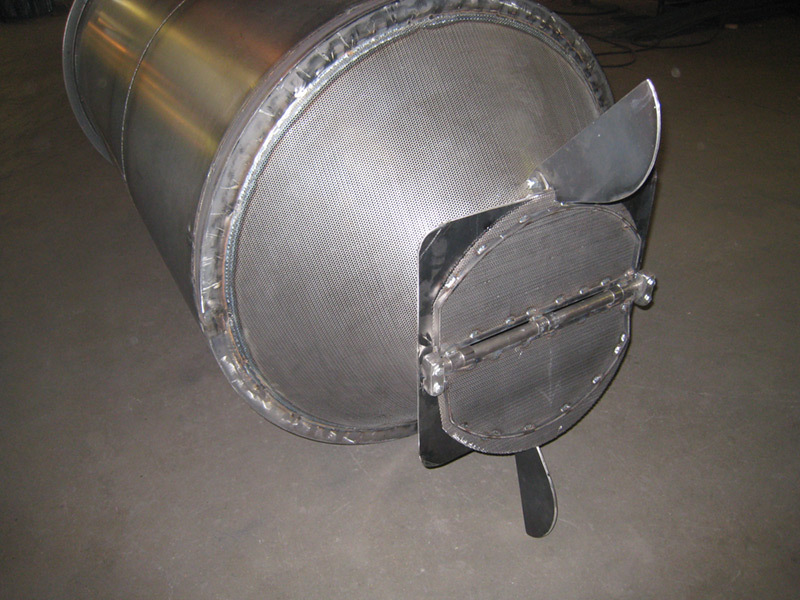 Stainless Steel Hopper with 4 round outlets at base. 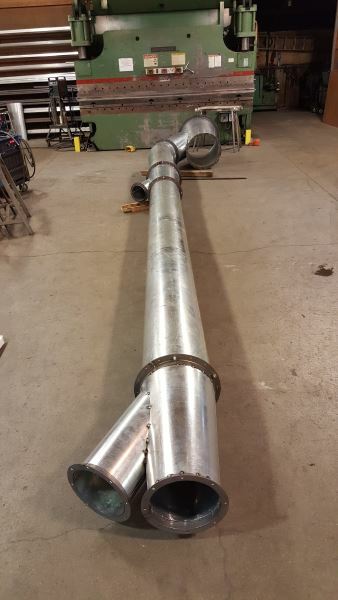 Custom square to square elbow and round ductwork sections. 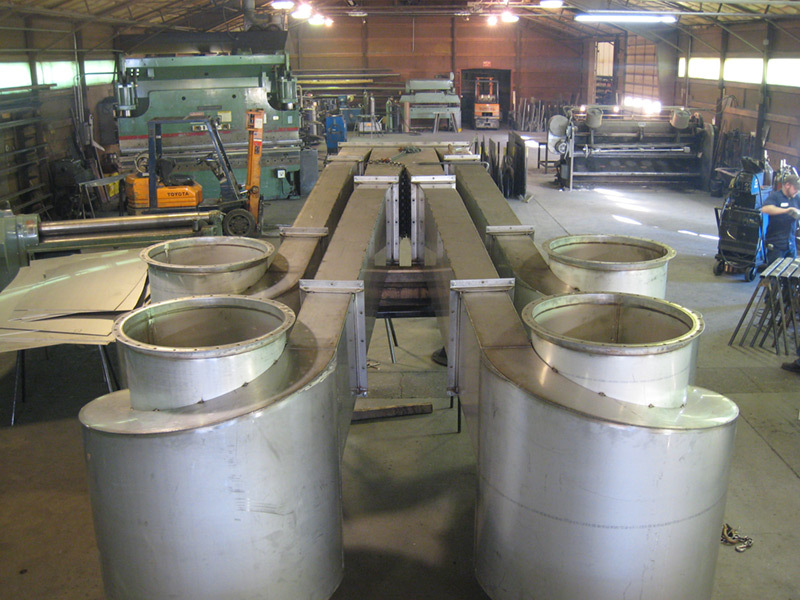 All have flanges for easy bolt on installation. Custom square to round transition. 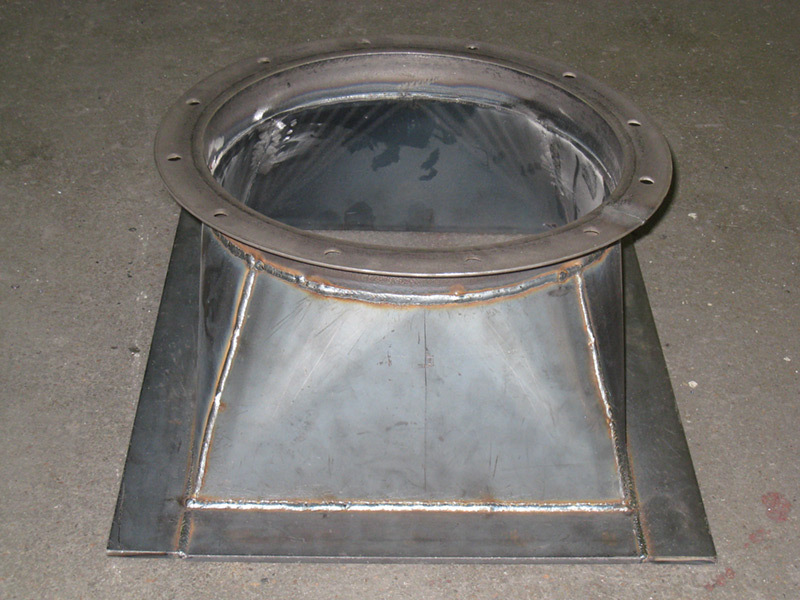 Custom square to round transition with flanges for bolt on installation. 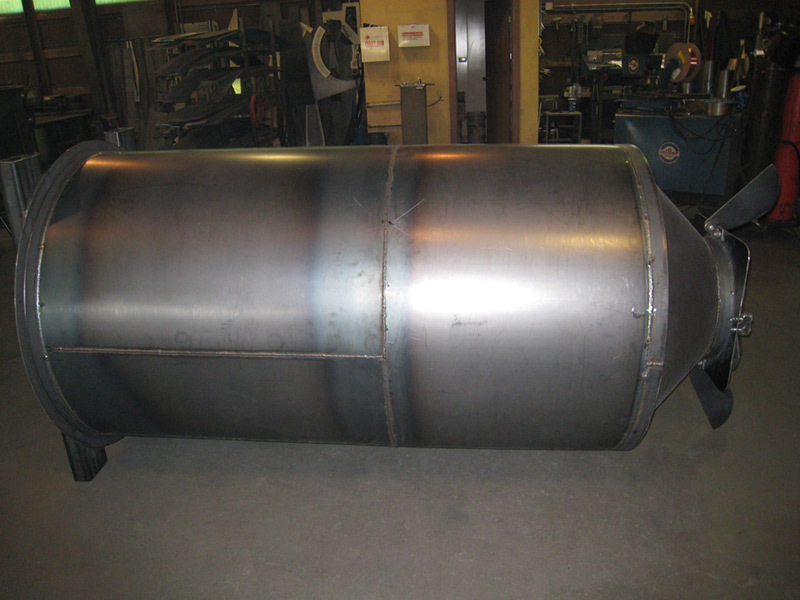 Stainless Steel dust collector cyclone complete and ready for shipment. 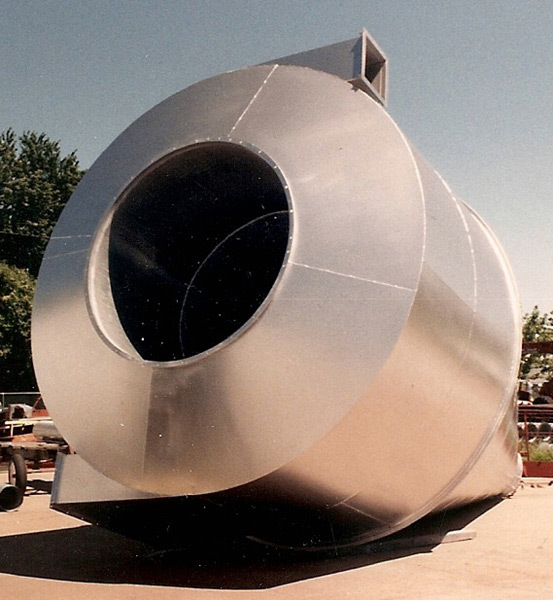 Four stainless steel cyclones with associated ductwork. 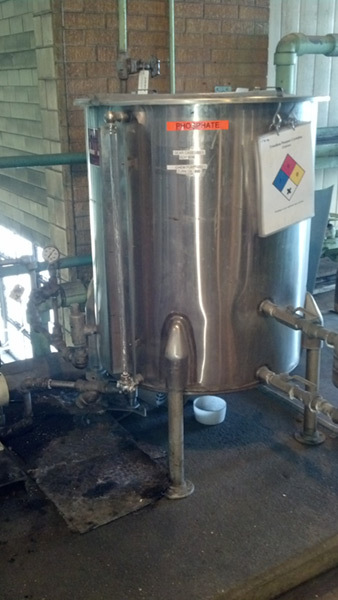 Stainless Steel holding tank for power plant. 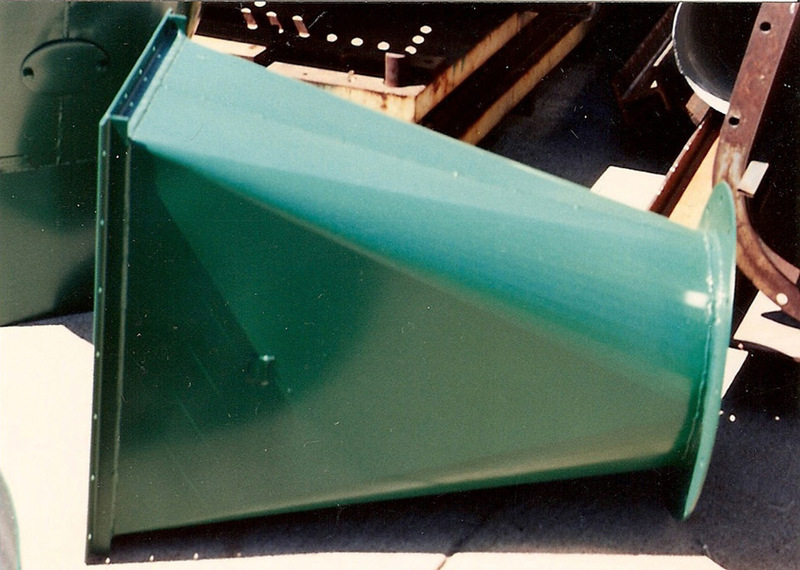 Large steel hopper with square flanged outlet at base. 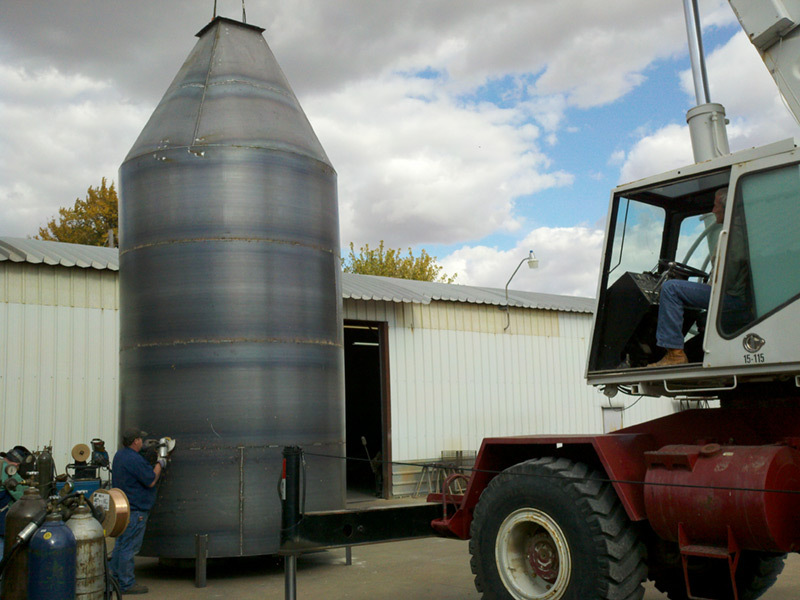 Custom steel tank with perforated metal hopper at base. 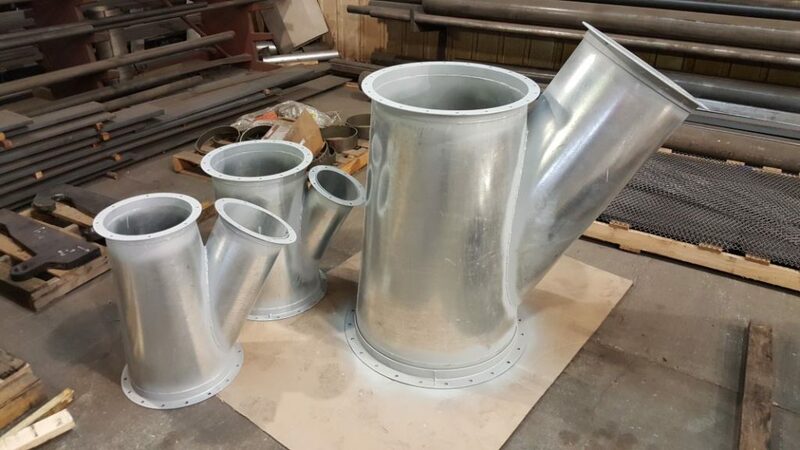 Finished galvanized steel reducers with wye branches. 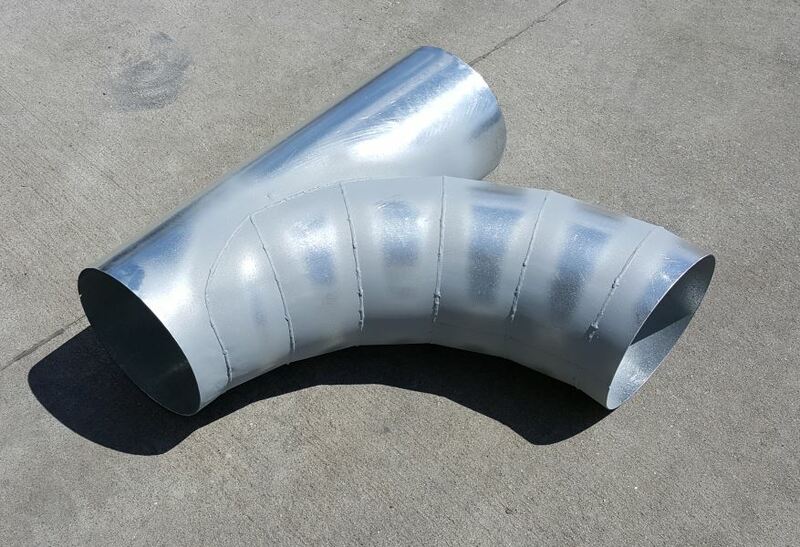 Custom galvanized steel elbow with straight section. 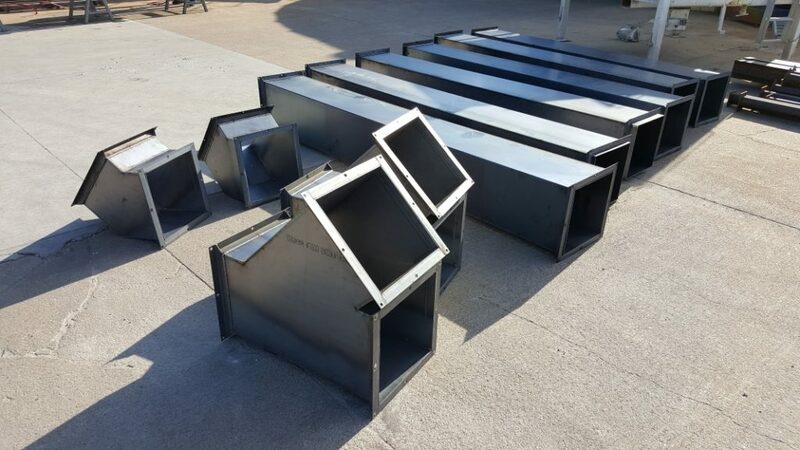 Custom made steel square ductwork with elbows.